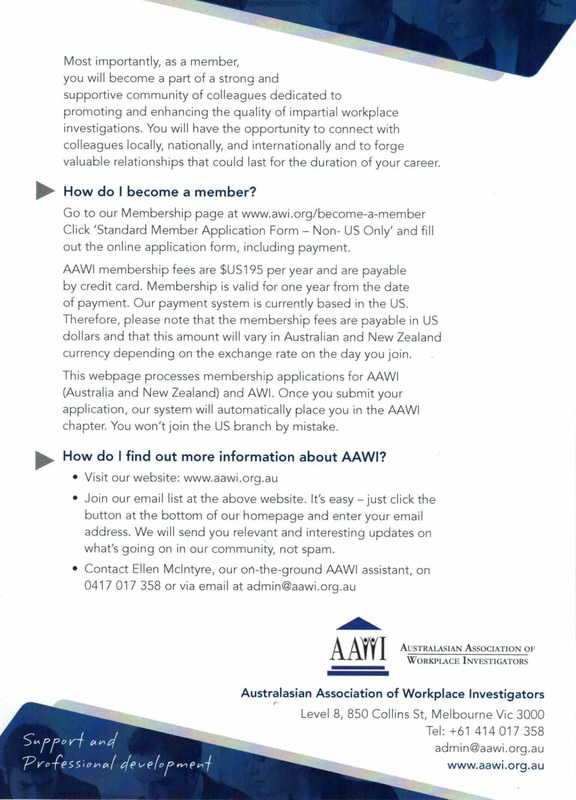 I am one of the conveners in establishing the Perth Chapter for the Australasian Association of Workplace Investigators (AAWI). 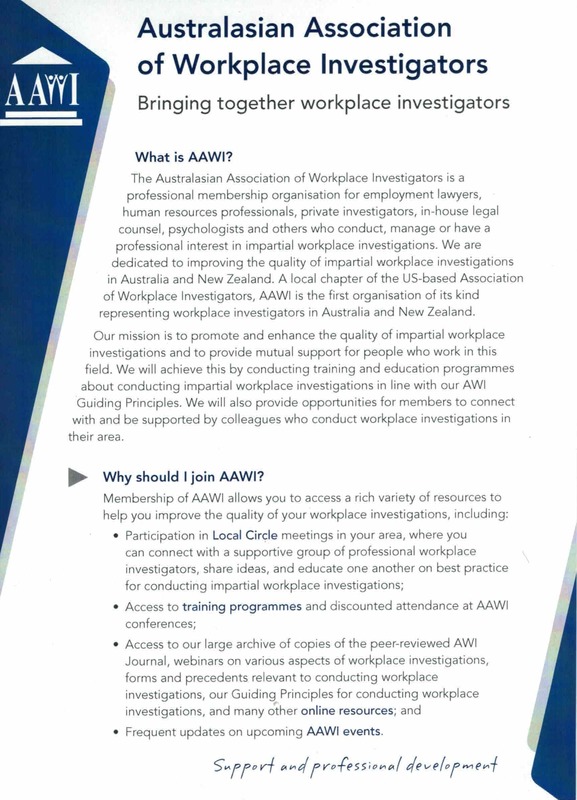 This is the first association to represent and bring together workplace investigators, and also other professionals associated with investigations in Australasia. Have a professional interest in impartial workplace investigations … then this could be of benefit to you or your organisation. Our Mission, is simply to promote and enhance the quality of impartial workplace investigations and provide mutual support for those who work in this field; through networking and quarterly Circle meetings.